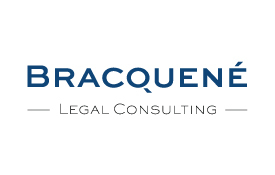 Bracquené Legal Consulting was founded in 1991 as a legal consulting firm assisting companies and research institutes with their technology development programmes and with the exploitation of the results achieved. The main aspects of the company’s services are the negotiation and the drafting of licensing and transfer agreements, agreements with financial partners, agreements for collaborative research agreements and the startup of spinoff companies. Technology development and technology transfer are Bracquené’s principal activity domains, with a strong emphasis on the space sector. In the space sector Bracquené Legal Consulting is assisting its clients in both the public and private space programs. The company has further special expertise in the field of the R & D Programmes and with international organizations in particular the Framework Programme of the European Union, the EUREKA Initiative and of course ESA. Hans Bracquené BVBA is the counsel of several major research institutes for their IP exploitation policy such as IMEC and VITO in Belgium, the Joint Research Centre of the EU and ESA.